NetSuite is renowned for providing a 360- degree view of customer relationship or end to end business process which has visibility and auditability. NetSuite has been evolved in such a manner that it meets all the business needs from small to large through an unparalleled breadth of business modules, tools and scalable infrastructure. Netsuite integrates database which helps in decision making and the dashboard and analytic tools meets all the levels of the business users. NetSuite is the one which delivers on the promise of the cloud for reducing the IT costs, has availability 24*7, is scalable and is upgraded automatically. NetSuite helps in providing mobile access for all the major platforms across its product line. Netsuites OneWorld provides with some of the functional capabilities which help in making your business global or manage the subsidiaries and the divisions which are a part of a two-tier ERP strategy. The above reasons are the ones that need a cloud-based ERP system which will free the organization from various challenges that are associated with the on-premise systems like the costly software updates, lack of mobility and the disparate systems. 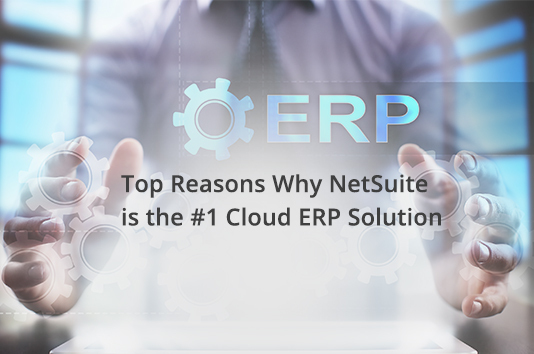 Adopting NetSuite ERP will help you to go global with your business. Consider Inspirria Cloudtech as your premium and valuable partner for managing your valuable resources of your organization. Take us as your new cloud innovation and NetSuite ERP partner with a decade plus of experience working with 450+ Cloud projects. Push productivity to its optimum level with proven solutions, which is used by the best companies all over the world.